Upon raving recommendation from bloggers such as Anna and Alex, Whitney and I picked up Gone Girl for October, the perfect spooky book for a haunted October. #bloggerbookclub is not intended to be a series of book reviews. Instead, they are interactive posts, sharing thoughs, opinions, and reactions to books we read. We hope that you can read along and respond in the comment section. Feel free to reach out to others and react to their observations as well. If you want to follow along, be sure to hit "subscribe by email" under the comment box. This will only subscribe you to comments on this post. In beginning this book, I immediately thought Nick Dunne was guilty. And despite the slow beginning I kept reading along if only to find out how Flynn would convince me otherwise. I did not see the twist she had planned coming. Even though I though he was guilty, I found myself connecting more with Nick than Amy, or "Diary Amy" as it was. Is this odd? I am especially interesting in whether anyone else felt this way! Nick receiving the text: "I am outside." At this point, I was hooked and couldn't put the book down. It never occurred to me that this might be the reason for the disposable phone. Noelle. Everything about her, and most significantly her actions at the candle light vigil. I never believe the pregnancy was real, but found myself often second guessing this. Each new twist that implicated Nick. I kept thinking, damn this girl is good. 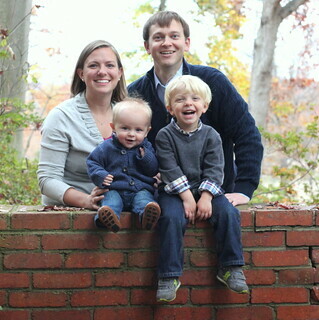 The woodshed was the icing on the cake. The real Amy is revealed. I appreciated Amy's determination to accomplish things and cross them off her checklist. Its the OCD in me. Throughout part two, I kept thinking, stupid selfish girl as she made friends at the pool with Greta, agreed to fish with Jeff, watching Ellen Abbott with them, and generally any social interaction she had, but most significantly calling Desi. Also, why did she keep all of her money in her money belt at all times? why not hide some under the floor boards of her car, some in her cabin, anything but walk around everyday with $9k under your shirt. Stupid. Nick's realization that Tommy O'Hara and Hillary Handy weren't the crazy ones - the pieces of the puzzle really began coming together here. Nick doing a fuzzy bar interview and having it actually benefit him. Sharon Schieber - this was just odd, and actually disrupted the flow of the book for me because it just looked like reading my own name spelled wrong. Amy calling Desi. I thought for sure she was going to call the police at this point. Nick's continued defense of Andie to Go...as if he needed to betray his sister further. The moment we have all be waiting for. Amy returns. How is this girl so crazy good at making everything go according to her own plan. I don't even want to consider the self-inflicted pain she was willing to endure throughout the story line because it is so disturbing. Tanner saying Nick and Amy were the most screwed up couple he had ever seen. Agreed! Go, Boney, and Nick continuing to try to convict Amy. Nick deleted his book? Lost respect. Nick telling Amy he feels sorry she has to wake up every morning and be her. Respect regained. The end. How about you? What were your reactions to this book? Are you hooked on Gillian Flynn's style? 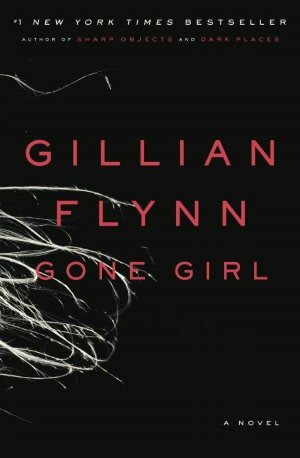 What do you think about Reese Witherspoon producing a Gone Girl movie? Did the anniversary treasure hunts seem too contrived? Did you salivate at the description of their lobster dinner? Or is that just my pregnancy cravings again? Can you believe Nick stayed in the end? Will his relationship with Go ever be real again? Did you sympathize with the pressure to be Amazing Amy? Or simply wonder how Amy had been so enabled her whole life? Just finished the book too! Not quite sure if I really liked it. By the end of the book I hated all of the characters, so I wasn't sure who to "root" for. Will definitely be checking out the movie though! Morgan, I agree with feeling torn throughout the book. And there wasn't really anyone I liked at the end, even Go and Boney. This book was SO good. I keep telling people that it's been awhile since an author stumped/shocked me like that. I wish I could read it again (but it wouldn't be the same). I'm excited to look into more of Gillian Flynn's work. I'm always pretty opposed to books that are turned into movies. The books are always better!! As for the treasure hunt--It definitely felt a bit too contrived. It was spookier when you didn't know if she was dead or not. Like letters from the grave. And yes I actually can believe that Nick stayed. I don't know why. I mean if my husband was crazy like that - I think I would still love him (and a part of me feel like Nick mostly stayed because of the baby). I did not feel bad for Amy at all. SHE'S CRAZY. CRAAAAZY. Oh and yes I love lobster. Always. Agreed on the treasure hunt being too contrived. Glad to hear the lobster cravings can be considered "normal!" I get so nervous about Amy's crazy...because I realize, there are people actually this crazy that walk past us on the street...AND WE HAVE NO IDEA. So I feel like I'm the only person who didn't think Nick was guilty in the beginning! I honestly never thought he was. I thought it was super fishy, but there had to be some other thing going on. When he got the text I was pretty nervous; like maybe he and Amy had planned something to stage her death so they could get the life insurance money. BUT IT WAS ANDIE! Oh Able Andie. Poor girl. I felt bad for her. Oh, and the girls in book club didn't like Go; they thought she was too clingy and had a weird relationship with Nick. But I thought she was a great sister. And Amy. Well, Amy is just straight up NUTS in my book. I kind of thought she was crazy even in her Diary Amy posts. Like she's just over the top. And I feel like her parents' pressure totally had to do with her being so nutso, but I don't feel bad for her in the slightest. She could have been normal. She could have stopped forming herself into whoever men wanted her to be. She could have figured out how to be happy! Or maybe she just never wanted to be happy. She's such a mystery to me. GAH. I'm reading it again and still finding all of this crazy stuff. I love this book SO much! I really though Amy was going to end up not psycho in the end. How did I think that? It makes me kidna terrified that I might enable my own kids to be nuts or get away with crap. Amy is totally and completely CRAY. What were your reactions to this book? I really, really liked it. Fast paced, interesting, and completely SHOCKING at the end. I still can't quite get over how it ended! Are you hooked on Gillian Flynn's style? I haven't read any of her other books, but Alex says they're good so I'm going to give them a try-- Alex, if you read this-- which other books of hers would you recommend? Or Shannon, you can answer, too, if you know any! What do you think about Reese Witherspoon producing a Gone Girl movie? Hmm. No thank you. Love Reese, but don't love books into movies. The only true exception to this might be The Help. LOVED THAT ONE. Did you sympathize with the pressure to be Amazing Amy? No. But then again, I can't really say I have any idea what that would be like! Or simply wonder how Amy had been so enabled her whole life? Yes to this. How could she have gotten to this point being the way she is? She's SMART I'll give her that, smart, but absolutely out of her mind. Alright, I finally just finished and up until the very end I was loving it...and then it ended, and I hated it. WOW. After all that they are going to have a baby and Nick is OK with that baby being raised by a total psycho? Totally lame. I kind of hate them both. But maybe that's the point? I don't know, but I feel icky. I recently bought this and I can't wait to get to it! All of these reviews have me itching to read it.